More and more people are turning from their doctors and turning to their phones. In a time where healthcare often seems like a luxury, and even decent plans come with seemingly insurmountable out of pocket costs, many are turning to their mobile devices to pick up where our system has left off. In the past, I’ve used the pre-installed ‘Samsung Health’ app that mostly functions as a pedometer (it tracks how many steps you’ve taken). It has helped me hold myself accountable for physical activity…kind of. But as I see more and more apps rising in popularity, I am kind of skeptical of their validity—are some of them flashy but empty apps that are really just aiming to steal your data? Probably. But it seems that there should be something out there that is “genuine,” something that lets you do far more than simply measure your steps and really offers health assistance. To that end, let’s take a closer look at a few different types of health minded apps to see their benefits (and their limitations). Here’s a breakdown of how they weigh in. This app, created by Under Armour, is an immensely popular app that’s geared towards weight loss, diet, and exercise. The signup process is simple. Only basic information is requested, including your weight and your goals for exercise and weight loss. Notably, there are only a handful of options for weight loss goals, meaning that dangerous or unrealistic goals aren’t even an option (this is a very good thing). This app works by counting and tracking protein/fat/caloric intake and exercise activity. You can also use this app as a social network, sharing progress and inspiration. For many, part of the problem is simply motivation, so the social aspect is a huge benefit (the age of the internet and global connectivity scores another point). For the type of person that will actually input their food intake and physical activity on a daily basis, this is a great app for maintaining a healthy balance. However, for the average person (a vast majority of us) who might not keep up with this app, or whose goals aren’t simply weight loss, this app might not provide much of a health benefit. Also, because the app depends on an internet connection, uploading information might be difficult, and even with a constant connection, it is easy to forget this type of task. But for the fastidious, it is a great tool. Lastly, while a calorie counting style app might be a great motivator and tool, detailed food tracking/calorie counting can lead to unhealthy and obsessive behavior in some people. It is helpful, but remember: There is a lot more to health than just counting calories. Based on your responses to the basic initial sign up questions, different ‘tracks’ are recommended with titles like “Conquer your Negative Thoughts.” Small games and activities are within each track, designed to slowly help you focus and think positively. Some of the activities can seem a little bit juvenile and the advice rather basic, and it is an app that is easy to be skeptical of. However, especially for those who do not have the resources for mental health counseling (which is a massive majority of people), if you keep an open mind and allow yourself to really give the experience the benefit of the doubt, improvement seems at least plausible through this app. It does help you focus on more positive things, if you stick with it, and there is some sound science behind genuine mindfulness. One criticism of Happify I found most relevant was that it seems to try to coerce the user into paying for a premium account, which would allow further progress within the app. For those without the resources for legitimate counseling, finding these kinds of dead ends in a possible opportunity for some sort of progress seems counter-intuitive. Moreover, the app does very little on the “counseling” side, and is really just for being mindful and positive (which is great for mental health, but no substitute for a genuine specialist). The simple interface and free/easy nature of this app makes it an obvious choice. The language of the app is incredibly user-friendly and it makes usage inviting and approachable, even though the concept of meditation can seem intimidating to some. This app, and many meditation apps, stand out from other types of health apps. 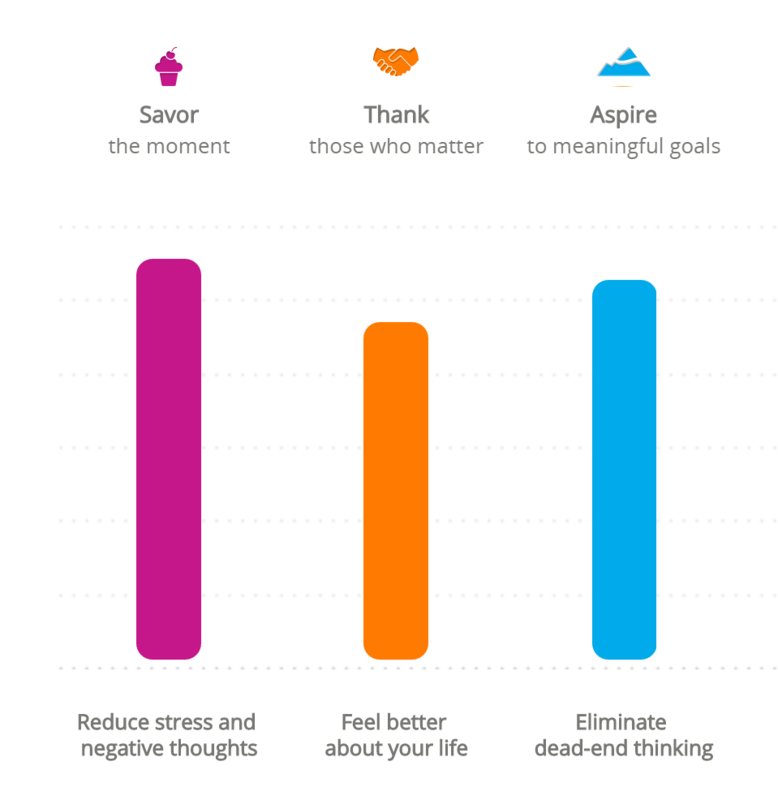 This is because, while they do allow you to track progress and response, the actual meditations within the app provide a legitimate tool for those looking for a free and accessible guide for general relaxation, stress relief, and mindfulness. Again, this app is by no means a substitute for psychological services, but it is definitely a positive and useful apparatus that lets you look at your well-being beyond the traditional calorie count. Calm is another app that functions in much the same way. It also has daily podcast sessions that focus on user questions regurading stress, anxiety, and other notable issues related to mental health and wellbeing. As an asthmatic with a busy schedule and an early scientist salary, I was curious about the possibility of actually safely and effectively seeking support through an app. What makes AsthmaMD so exciting to me is that whatever symptoms or incidences you log into the app are saved and used to create a graph showing any trends, which might actually (over time) help you realize possible triggers or patterns. It also allows you to send all of your app information to a physician. This is important, because the accurate reporting of symptoms to physicians can be impossible due to the inability to remember all of your symptoms over an often long period of time. While it is dependent on having access to a physician, this might be the most clearly effective part about this app—allowing more accurate symptom recall and, therefore, more accurate diagnosis and treatment. This app also suggests the purchase of a peak flow meter to help monitor and input symptoms. However, like with all health apps, I am still fairly skeptical of relying too heavily on an app with such critical information. Unlike with diet and fitness apps, relying too heavily on just the app for a condition like asthma could be dangerous. So. Will Apps Be Replacing Doctors? This is just a short summary of what is out there, but from what I have found, most health oriented apps rely on users to input information. To that end, to date, they are largely tracking and monitoring tools. They can help to support an individual’s health effort, but mostly cannot stand on their own safely as an actual medical substitute. So it seems that we are still far from having the ability to rely on apps for affordable and clinically effective healthcare or health monitoring. However, that being said, we are getting there, and realistically many are already using health apps in lieu of nutritionists, physical trainers, and psychologists. And they are effective…to various degrees. Hopefully, some day soon, the efficacy of this technology will catch up to the demand (and as each year advances, it seems that we are coming closer to this).